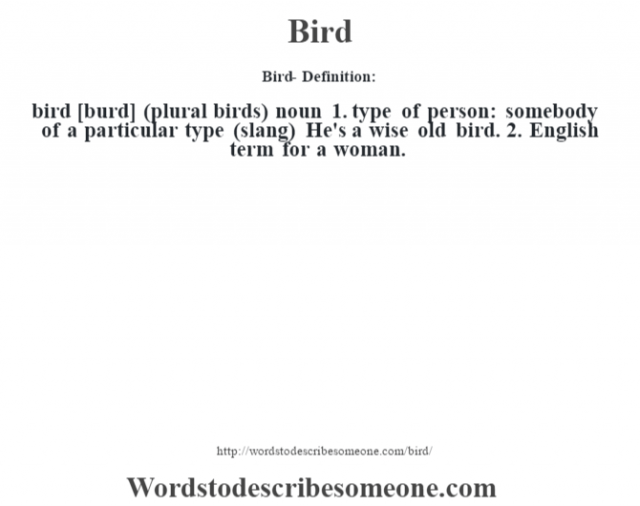 bird [burd] (plural birds) noun 1. type of person: somebody of a particular type (slang) He’s a wise old bird. 2. 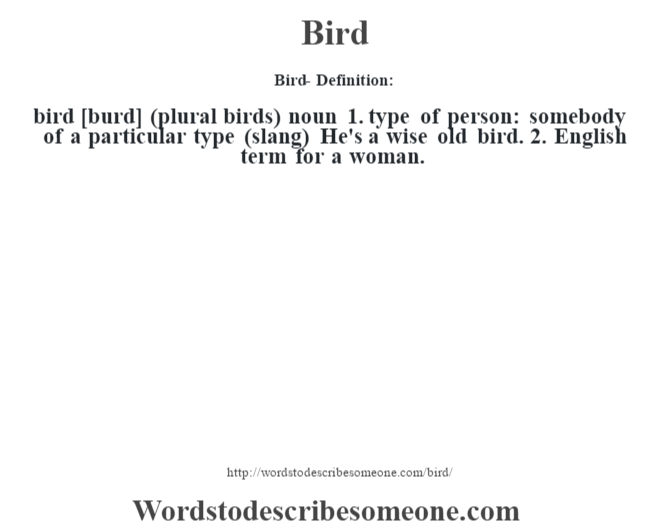 English term for a woman.